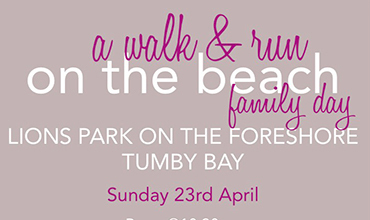 Join the community for a walk & run on the beach at the Lions Park on the Foreshore at Tumby Bay. Official opening by Peter Goers ABC Radio Presenter @ 11am. Come for the walk and stay for the afternoon. Enjoy a Sausage sizzle and soft drinks available for purchase. BYO Chairs and alcohol. Raffles to be sold and drawn throughout the day. Face painting and pony rides. Music by Sam Barlow from 12 – 4pm. Craft Fair at the Town Hall all weekend. All proceeds go to Parkinson’s SA. All welcome.